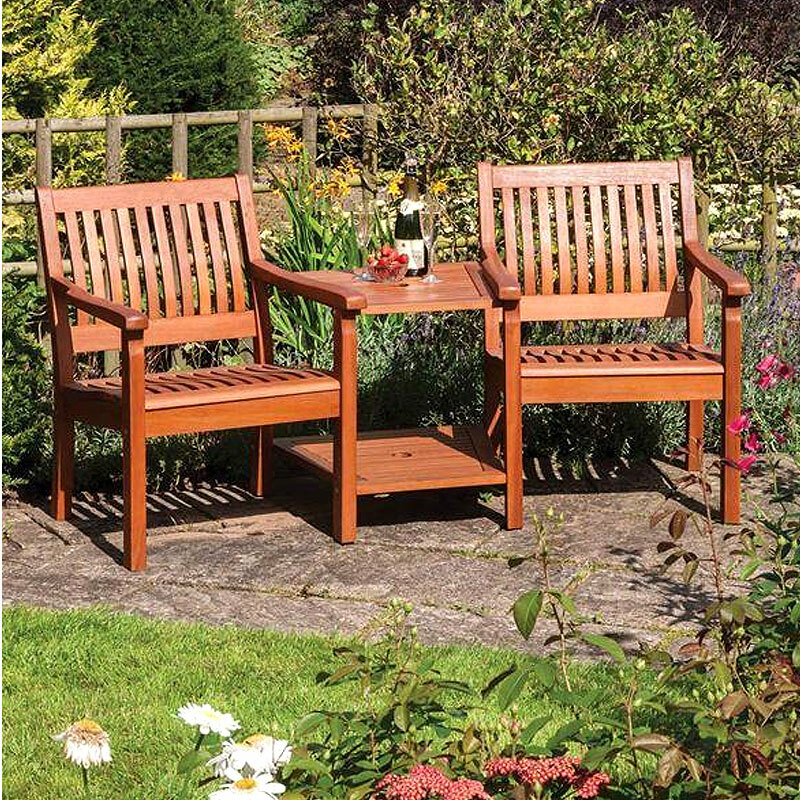 A more intimate alternative to a full-sized bench, the Rowlinson Willington Companion Seat is a wonderful way to take breakfast, lunch or just enjoy the company of your significant other. 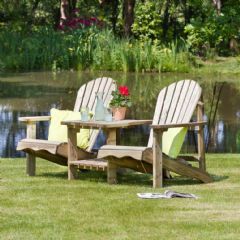 With a built in table between the two seats, this beautiful all-in-one-piece seating and dining option is a great way of creating an intimate and serene spot out in the garden, perfect for sharing a light meal or drinks. During warmer weather you can use the parasol pole in the table, so that you can relax in the shade, keeping the heat of summer off your ice cold drink. 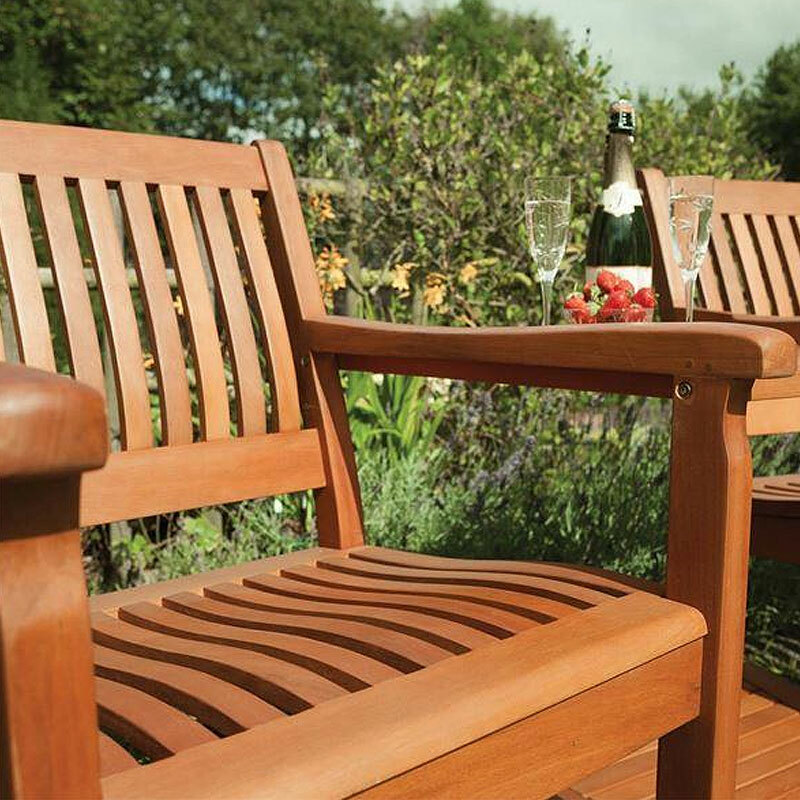 The Willington Companion Seat has been pressure treated to protect it from rot and weathering. 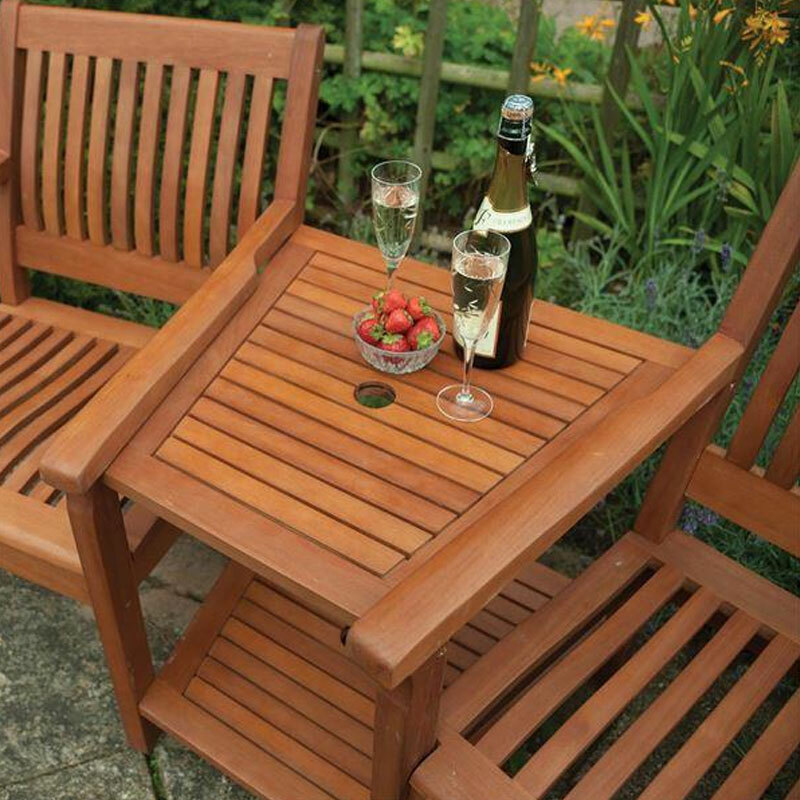 This product can easily be stained or painted to match your décor or garden theming. This product will require self-assembly and we advise that it is assembled by at least two people. 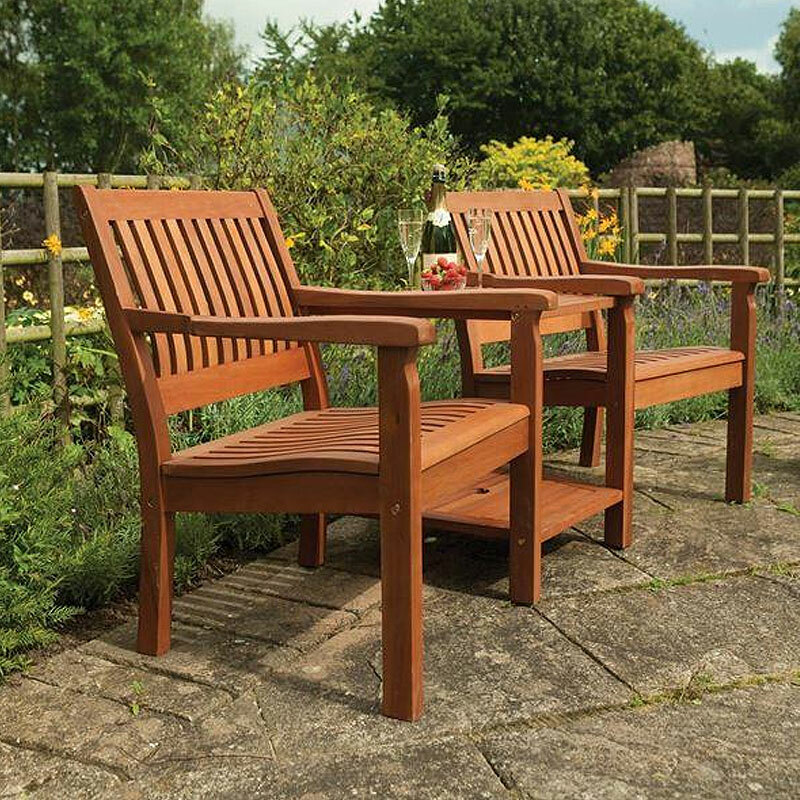 Relax and unwind in peace and quiet with your Rowlinson Willington Companion Seat. The seat is very well made and assembly a piece of cake. One of the seats was cracked but was replaced very quickly, great customer service. Very pleased with the seat, well made and strong. 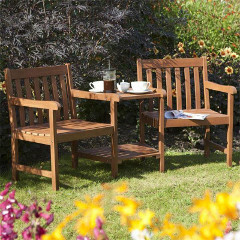 Plenty of room for a cup of teas or a glass of wine, the seat is an asset in the garden. Delivered quickly and well packaged. We are really pleased with the bench. It arrived on time and was well packaged. The finished product is good value for money. However, the wooden dowels were missing from the pack and when we phoned the company they only sent 10 not 20. The instructions need to indicate that the seats have to be put into place before the end arm assembly is tightened. Pleased with this companion seat, nice colour, easy to put together and seems strong. Happy with purchase. 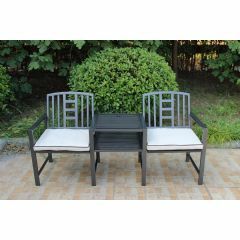 Fast delivery, good quality and it looks good. Received in good condition. Put together easily by one person who knew what they were doing, I was expecting it to need two! Shame you don't have a cover to fit it. Very pleased with the quality and weight. Is wide enough that it is comfortable when two adults are sitting at it. Instructions could be a little clearer but ok went together well but did need another pair of hands to hold it in place. My 10 year old nephew was my helping hand.Does need treating to keep the finish.